Alaska boasts the only arctic tundra within the United States. One of the many biomes that cover the Earth, arctic tundra are regions of treeless plains with permanently frozen subsoil. Abiotic factors include the physical, or nonliving elements specific to the biome, such as temperature and precipitation. 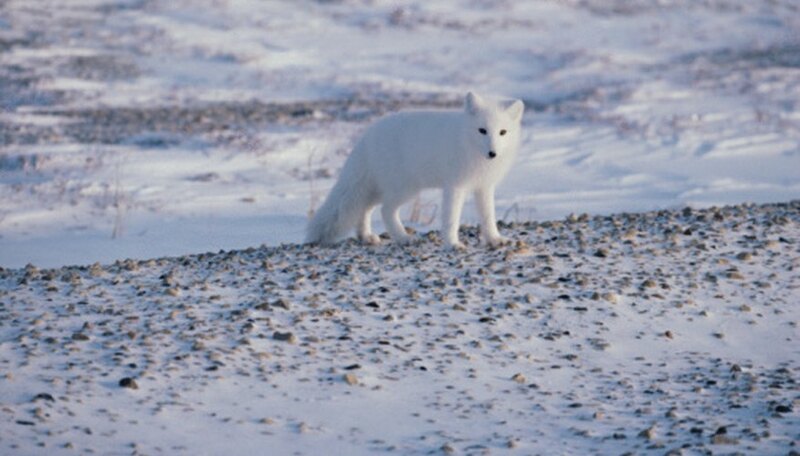 The abiotic factors of the Alaskan tundra help make it a suitable environment for species such as caribou, arctic fox, lemmings and snowy owls. Cold temperatures make the tundra a challenging place to survive. Temperatures remain well below freezing throughout the winter, with an average winter temperature of minus 30 degrees Fahrenheit. Summers are short and cool, averaging 37 to 54 degrees Fahrenheit. High winds sweep across tundra plains and contribute to the cold. Given its latitude and extremely cold temperatures, the Alaskan tundra has a short summer growing season for plants. The tundra growing season is just 60 days long, so only specifically-adapted plant species can survive. While the top layer of soil thaws during the tundra summer in Alaska, the subsoil remains frozen year-round in a condition called permafrost. The permafrost layer consists of gravel and finer soil. In the summer when the top layers thaw, bogs and ponds can form on top of the permafrost, providing important moisture for plants and animals. The tundra biome receives as little precipitation as some deserts. Average yearly precipitation, including snow melt, is just 6 to 10 inches, compared to 30 to 60 inches in the temperate deciduous forest biome. Cummings, Eliza. "Abiotic Factors of the Alaskan Tundra." Sciencing, https://sciencing.com/abiotic-factors-alaskan-tundra-8199571.html. 24 April 2017. What Continents Are in the Tundra?